Christian Brothers Academy has a long-standing tradition of athletic excellence and is considered to have one of the top high school sports programs in New Jersey. Dating back to the school’s first state championship in 1965 with basketball, the Colts have won over 140 state titles and over 230 conference championships, making CBA one of the most feared athletic programs in the shore and the state. 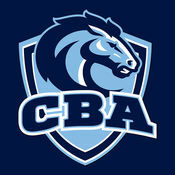 The CBA interscholastic athletic program, which is comprised of nearly 700 student-athletes, is a valuable dimension of the mission to educate the whole person– mind,body and spirit–and it provides opportunities for students to compete successfully and with pride. Student athletes learn to compete with character and to handle any outcome with class. Long after the score is forgotten, the behavior of athletes, coaches, and fans will be remembered. 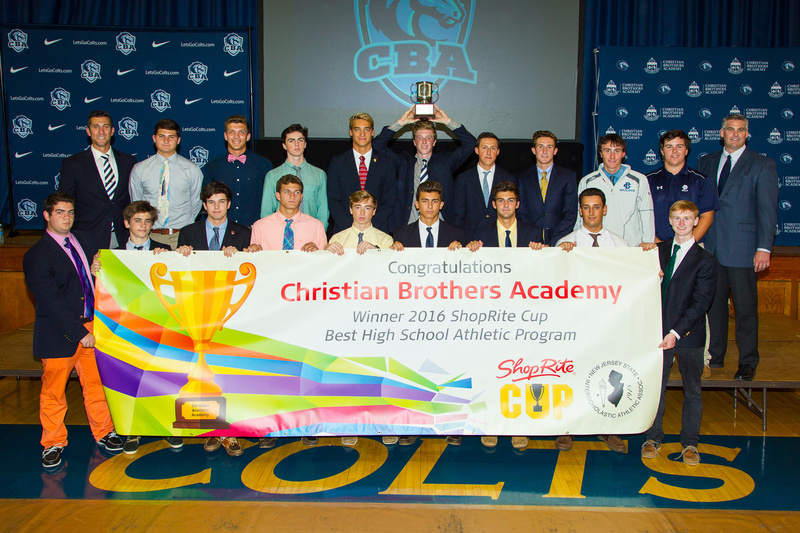 In 2018, CBA won its record 10th ShopRite Cup recognizes the best sports program in New Jersey. Now in its 15th year, the ShopRite Cup is presented jointly by ShopRite and the New Jersey State Interscholastic Athletic Association (NJSIAA). ShopRite honors six top performing high school athletic programs (four public, two non-public) each fall with the presentation of the Cup. To win, schools must earn ShopRite Cup points by finishing in the top four places for their group’s state championship competition in the 32 NJSIAA-sanctioned sports during the school year. The ShopRite Cup also rewards bonus points for sportsmanship. “Participation in team sports is such an important part of a young person’s life,” said Karen Meleta, spokeswoman for ShopRite. “ShopRite is honored to recognize these athletes, their commitment to their sport and their dedication to excellence."